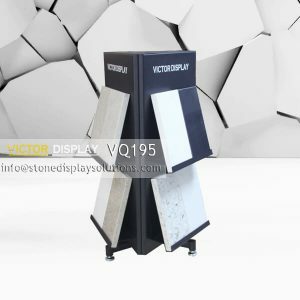 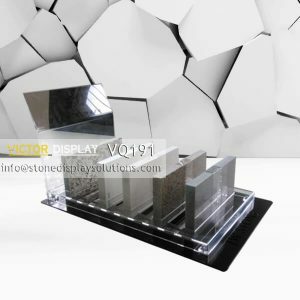 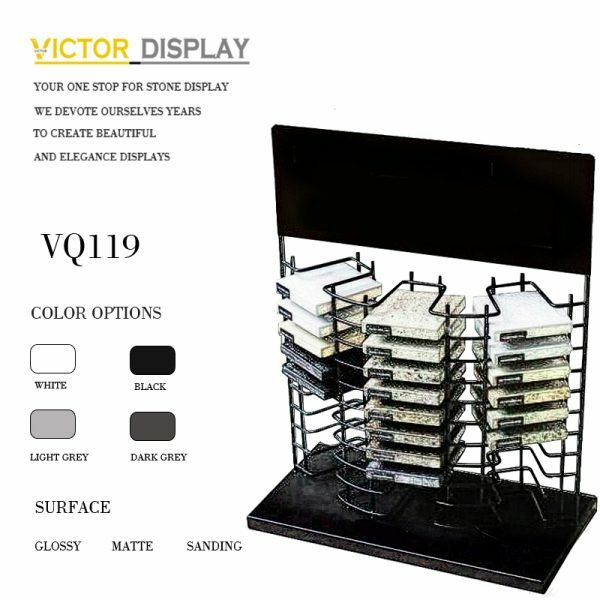 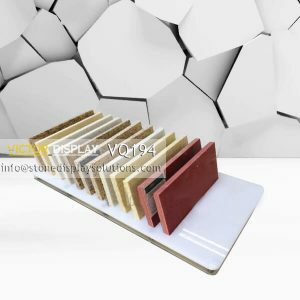 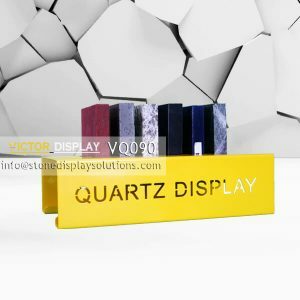 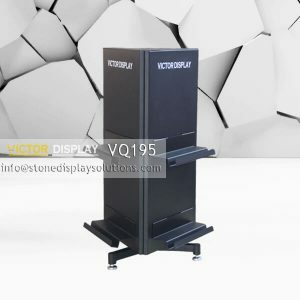 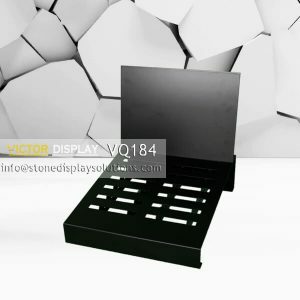 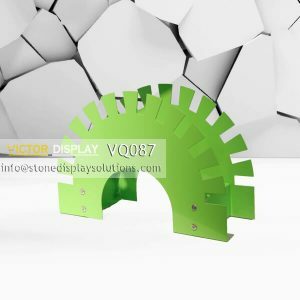 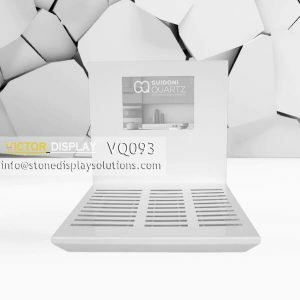 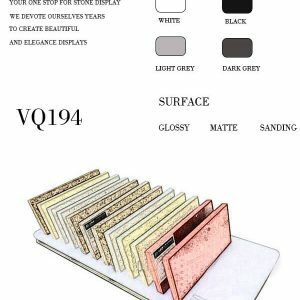 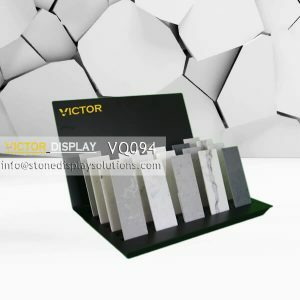 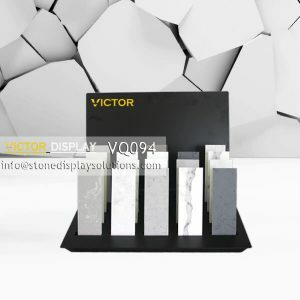 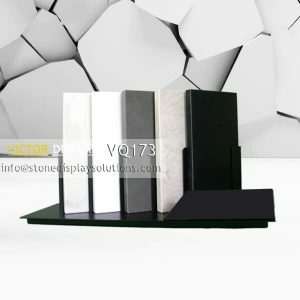 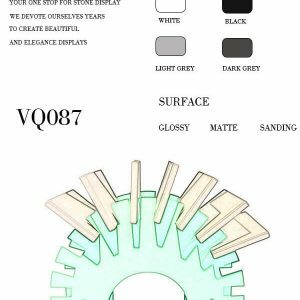 VQ119 is made of metal with black powder coated surface. 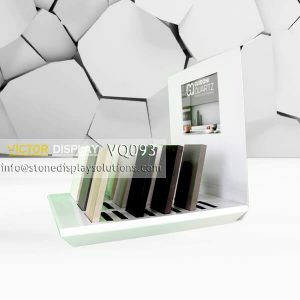 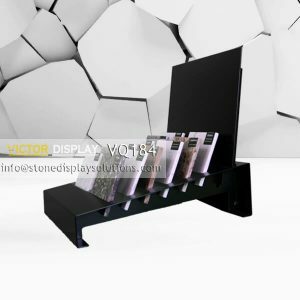 The black metal base ensures your display stand is kept safely in place without the risk of your display falling over. 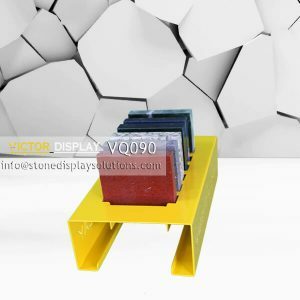 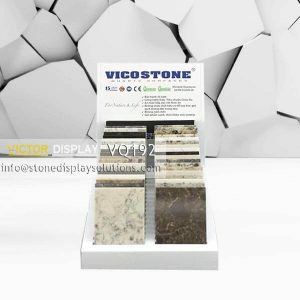 Ideal for use on a tables or counter-tops in any retail environment. 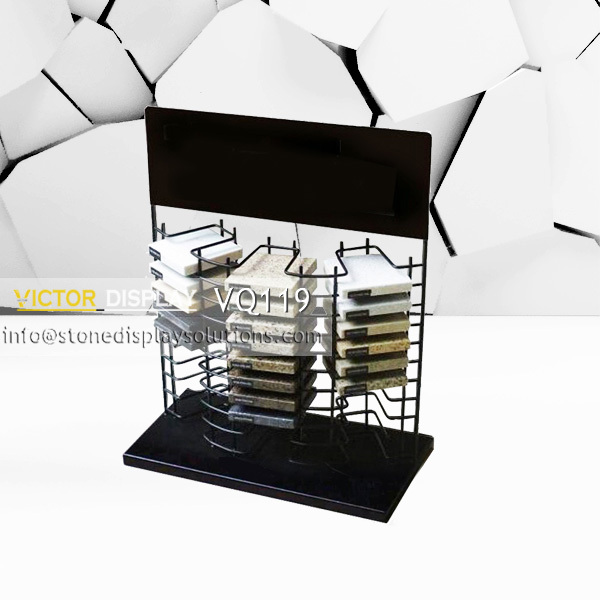 It has 3 rows to display 30 stone samples on one rack. Convenient structure allowing for quick and easy exchange of display. 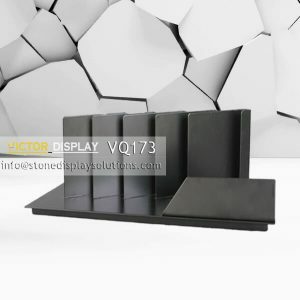 With the logo or brand panel on the top, it has good promotions function.